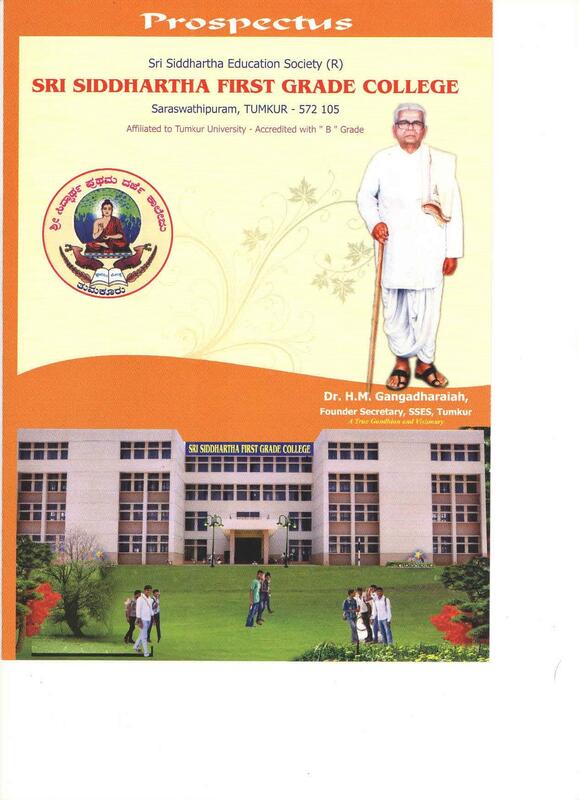 Siddartha First Grade College, Tumkur was established in 1983 and running under Sri Siddartha Education Society. The college is affiliated to Tumkur University and it is accredited by National Assessment and Accreditation Council (NAAC) with ‘B’ Grade. The College offers Bachelor degree in Arts, Science and Commerce along with Master of Commerce (M.Com). 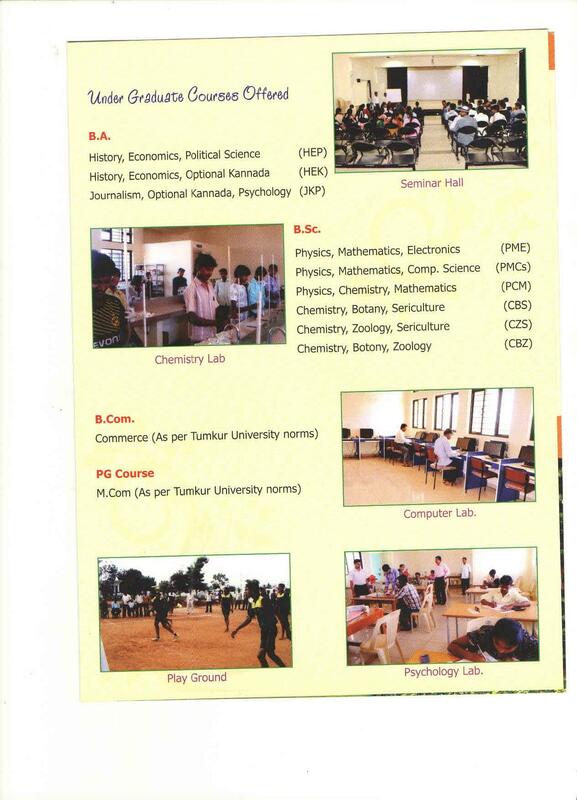 The College helps to increase Physical strength of students through many activities like NCC.NSS, Sports etc. 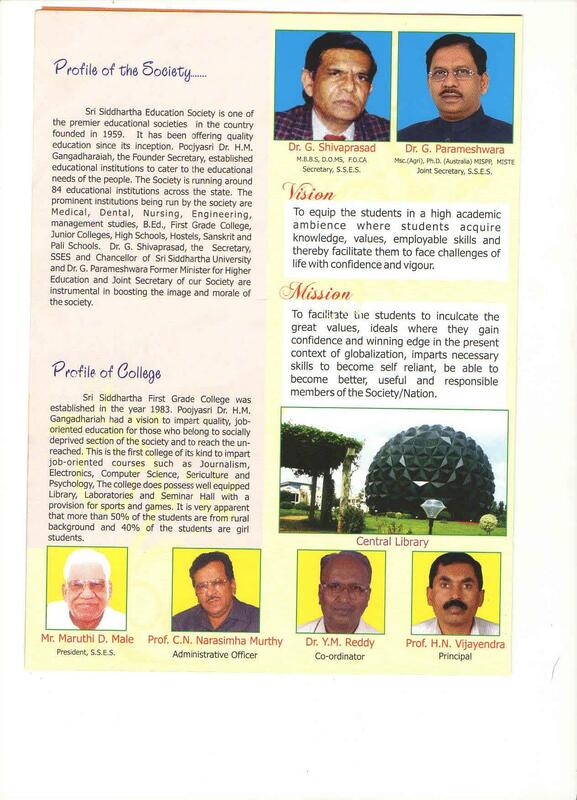 Why to join Siddartha First Grade College? Experienced Faculty Members- College has well qualified teaching faculties having the good experienced in the field of education and industry. Academic Facilities- College has support services like Library, Health center, Internet facility, Computer lab, Physical Sciences lab, Medical facilities, language lab, and Home science lab for students.